The Foundation is a registered charitable trust committed to promoting relationships that enhance development for individuals, schools, families and communities. Prior to his present role with the Foundation, Tom was a Local Authority educational psychologist in Bedfordshire and Milton Keynes. In 2003, Tom was responsible for introducing a Restorative Justice initiative into three schools in Milton Keynes. A DVD of this work was produced in 2005 and sold throughout the UK. The present emphasis on applying 'Restorative Principles in Practice' reflects the evolution of this initiative and a commitment to developing social relationships that are respectful, engaging and inclusive. In recognising the importance of social learning for personal development, Tom has helped to extend this initiative to focus on the process of building and maintaining co-operative relationships for schools, families and communities. 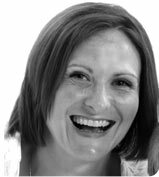 Vikki is an experienced primary teacher who, over the last 19 years, has worked in a range of schools across Key Stage One and Two as a class teacher, SENCo and Assistant Head teacher. Pupil and adult welfare and well-being have always been a prominent focus for her work in education. Vikki is a strong advocate for positive relationships and for pupil engagement as restorative practitioners and leaders. She has supported a range of schools in Milton Keynes, enabling them to develop and embed the application of restorative principles with pupils, staff teams and families. Paul has over 30 years experience in education. A former Headteacher, OFSTED Inspector, local and regional School Improvement Advisor, he gained national and international recognition for his school improvement work in the North East of England. 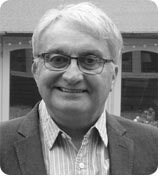 Paul is now known in the UK, and overseas, for his contributions to the development of Restorative Practice in schools, local authorities and organisations. In partnership with the Restorative Foundation Paul has created a number of Whole School Climate for Learning Programmes, and a suite of Leadership Development Programmes, rooted in Restorative Principles. Paul has led Restorative Practice initiatives in Hull, Milton Keynes and North East Lincolnshire, along with numerous individual Schools and Multi Academy Trusts. Paul's passion is helping leaders who seek innovative improvement solutions, and expect practicality, relevance and significant impact. 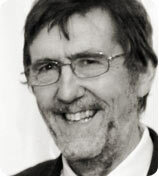 Bryan has worked in primary education for 40 years. 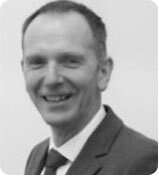 He was a senior leader and for 18 years he has been a Headteacher with successful experience in schools with challenging circumstances and in leading the federation of a Junior and Infant School. Bryan was Chair of MK Primary Headteachers' Strategy Group and he worked with the Local Authority on several school improvement initiatives. He has been involved with the MK Primary Learning Network and the Aspire Network. Presently, he is working as an Achievement Advisor. Bryan has a long-term interest in creating positive learning environments and in the needs of pupils with social and emotional difficulties. He was one of the original Headteachers involved in the MK Restorative Justice initiative and he continues to be a member of the Headteachers' Restorative Network. "Restorative Practice has been a powerful tool for building positive and respectful relationships throughout our school community. The children are increasingly empowered to manage their own behaviour and it is a joy for us to let them go and watch proudly from the sidelines! The impact is particularly marked for children in our vulnerable groups who are included and valued through circle times. We have seen children with EAL, behaviour, hearing and speech needs find their voice in the class community." Primary School Headteacher, Milton Keynes. "I wish I had known about this with my older son. Talking about our feelings has helped us to understand each other." Yr 1 parent after parent workshop session. "We've never had the opportunity to talk like this before. This approach helps us to see what really matters." Parent Governor after training session. "All staff have a clear understanding of the importance of engaging with families and building positive relationships." Scott: Restorative practice reminds us to take care of each other. Maame: It is good to be a role model for younger children. Evie: I try to understand other's problems and if I listen well they can sort it out in a positive way. Samira: I helped a boy who had no one to play with. Jaimee: I won't take my anger out on anyone as I can see that it hurts other people and me as well.